King Island Tasmania: A Delightful Retreat From Daily Life - Go For Fun: Travel, Sailing, Photography - Inspiration, Tips, Adventures - Australia and The World! Considering the sheer size of the Australian continent, we often forget about the small islands surrounding the coast of our great land. Many of these islands are unique paradises; their small population having maintained a peaceful tranquillity over many years. 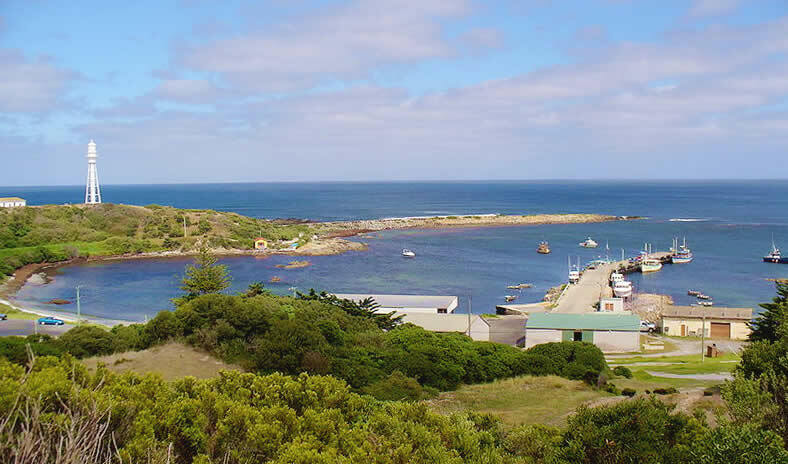 King Island is one such paradise, situated to the North West of mainland Tasmania, just below Victoria. Internationally renowned for its cheese, it also has rich maritime history, friendly locals and scenic coastal views. If you’re thinking about taking a break on a remote island, it’s worth considering this fascinating Tasmanian location. Here are some of the exciting things you can experience at King Island Tasmania. The Bass Strait’s treacherous waters claimed hundreds of ships and many more sailors during the 18th century. There are over 70 shipwreck sites to explore in the area, and the island has some excellent diving sites for viewing shipwrecks. Diving and fishing charters can be arranged while you are there. The King Island Maritime Trail Shipwrecks & Safe Havens exposes some of the heart-breaking and heroic stories of the shipwrecked sailors, their rescuers and lighthouse keepers who worked through the night to ensure King Island waters were safe. There is certainly no shortage of glorious food on King Island. The Grazing Trails are a network of food and recreation trails found along King Island where you can sample some of the finest foods the island has to offer. There’s seafood, beef, bread, cakes, chutneys and sauces as well as delicious fresh fruits and vegetables to be enjoyed. If you want to catch your own fish, Grassy and Currie are great fishing hotspots where you can expect to find kingfish, Australian salmon, snapper, mullet and many others. Wander the picturesque Currie harbour, the commercial centre of the island known for its fishing, farming and harvesting industries and enjoy a succulent seafood dinner in one of the local restaurants. King Island Tasmania is renowned for its fresh produce, especially the delicious selection of cheeses and thick creams sourced from local farms. The ingredients are produced from the herds that graze on some of the cleanest pastures in the world. At King Island Dairy you can sample some of these world renowned dairy products. For an indulgent cheese tasting experience, balance the flavour of the cheese with a glass of Pinot Noir or a crisp white wine. Fruity flavours blend with fresh white cheese, while fortified wines pair brilliantly with blue cheese. You can also learn more about the history of cheese making in the region and the processes involved to make some of the finest cheeses in the world. King Island has a fascinating story to tell. The cultural centre features an interpretation of the island’s unique heritage from local artists. Learn more about the island’s rich maritime history and thriving agricultural industry at the Historical Society Museum, which holds a collection of treasures discovered in shipwrecks and mining artefacts from the 19th century.